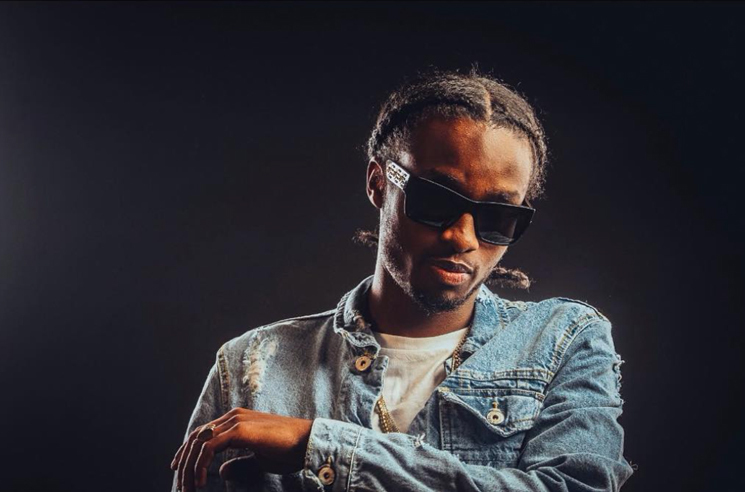 Toronto rapper Robin Banks is believed to be in hospital following a nightclub shooting in the city early Monday morning (April 3). While York Region police have refused to name victims of the incident, followers of the rapper on social media have expressed condolences and prayers for the 22-year-old artist. Meek Mill also shared a photo of Banks on Instagram, with a caption that read "Pray 4 da kid." HipHopCanada reports that sources close to Banks say the rapper is in stable condition and scheduled for surgery, despite reports that he had in fact succumbed to his injuries and died in hospital. As the Toronto Star reports, York Region police responded to reports of a shooting outside Cameo Lounge at 4120 Steeles Ave. W in Woodbridge, north of the city's downtown core. Emergency crews arrived and found three attendees had been shot. A woman and man, both 26 years old, were taken to hospital with non-life threatening injuries. Const. Andy Pattenden told reporters that the shooting happened both inside and out of the club and hookah lounge, with as many as 150 people inside the venue at the time. Banks's management company, Up Top Movements, has yet to publicly address the shooting. Robin Banks got gunned down today & is fighting for his life. Some people just can't see you win. Prayers on a speedy recovery in sha Allah. Damn, prayers up for Toronto rapper Robin Banks.